¶ I watched my parents and it rubbed off on me... This is how Habib Koité traces the origins of his profession and talent as a 21st century griot. 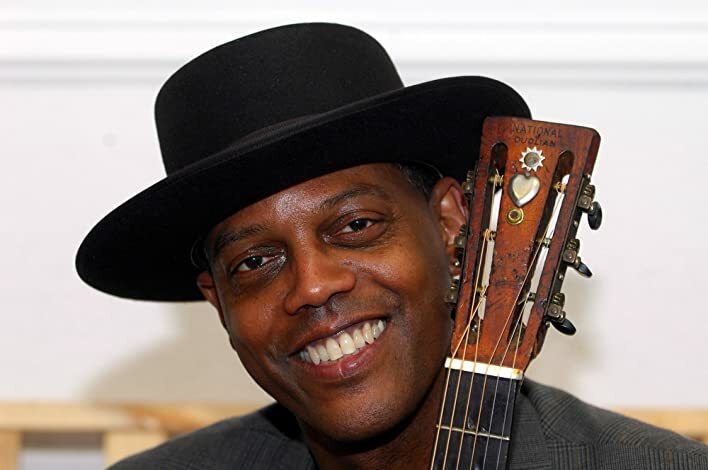 Eric Bibb has a similar background: his father, Leon Bibb, is a singer well known in musical theatre and folk music circles and Eric is also the godson of the famous singer and activist Paul Robeson. In other words, Eric grew up surrounded by music. Habib is the heir to an ancestral knowledge set to song that places him among the most influential voices of contemporary Africa. 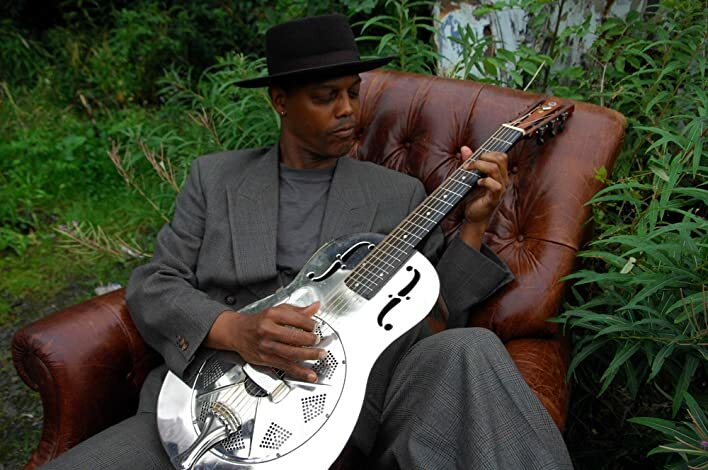 Eric has established his name in the new generation of bluesmen without renouncing the legacy of folk and gospel. What could be more natural than for this Malian and African-American to join the rhythms of their guitars and voices in some transatlantic blues? Two popular singers, two singers rooted in an ancient tradition and everything it infers: knowledge, a unique musical repertoire, and a way of using song to pass a social message. Both have humbly acquired a sense for song that permeates society. Without any precise agenda in mind, they have developed a common repertoire. Tongues loosened to the rhythm of guitars and the path took its natural course. Each finds something familiar in the song of the other. Habib sings about his era, his environment. He lives, breathes and sings Africa, but an altered Africa, transformed by the rest of the world. Eric is receptive to this approach. And without consciously deciding, songs with a social message emerge. ¶ Stony Plain debut record Deeper in the Well crosses musical genres as the singer offers his audience hope and optimism. 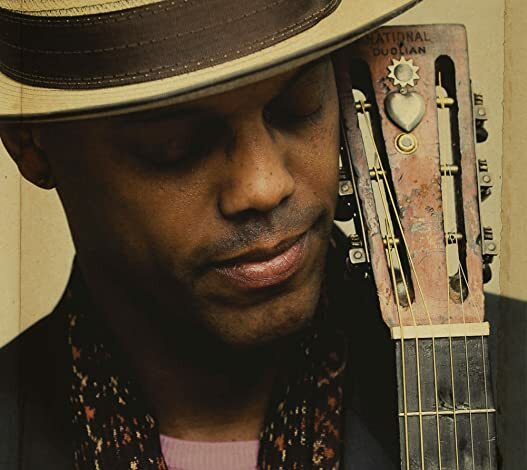 ¶ Eric Bibb’s new CD for Stony Plain may well be one of the most important roots music albums of recent years. Not only does it cross genres — folk, gospel-infused acoustic blues, and down-home country — but it offers a sound steeped in the rural Louisiana where it was recorded. 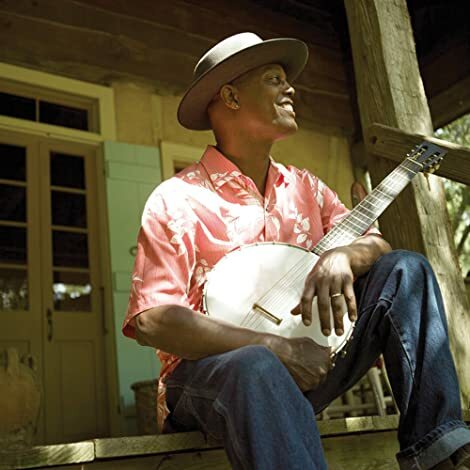 ¶ Eric Bibb’s father, Leon Bibb, certainly helped his son dig a little deeper. An acclaimed singer in stage musicals and a senior figure on the New York folk scene of the 1960s, Leon gave his son his first guitar when he was seven, and introduced him to a who’s-who of musical icons. Eric’s godfather was actor singer and activist Paul Robeson; his uncle was jazz pianist and composer John Lewis. Family friends included Odetta, Pete Seeger and Josh White. ¶ A professional player at 16, playing in the house band for his father’s television talent show, Someone New, Eric went on to study (psychology and Russian) at Columbia University, but "after a while it just didn't make much sense; I didn't understand why I was at this Ivy League school with all these kids who didn't know anything about what I knew about," he says now. Aged 19, he left for Paris, where a meeting with American studio guitarist Mickey Baker focused his interest in blues guitar. ¶ A few years later he moved to Sweden and settled in Stockholm, where he found a creative environment that, oddly, reminded him of his teenage days in Greenwich Village. He made a handful of albums, starting in 1972, and began meeting and playing with local musicians as well as newcomers from all over the world. He laughs: “There was a budding world music scene going on, long before it became a marketing concept." ¶ His breakthrough album, Good Stuff, was released in 1997 and led to Eric signing to a British label, which in turn released Me to You, featuring appearances from some of his personal heroes, among them Pops and Mavis Staples and Taj Mahal. ¶ The album furthered Bibb's international reputation and was followed by tours of the UK, the United States, Canada, France, Sweden and Germany. And so it went through the 90s and the first decade of the new century — he made consistently good records, and built audiences from Stockholm to Sydney, Vancouver to Vienna, Paris to Peoria, New Orleans to Newcastle, and from B.B. King’s club in New York to the Bluebird Café in Nashville. 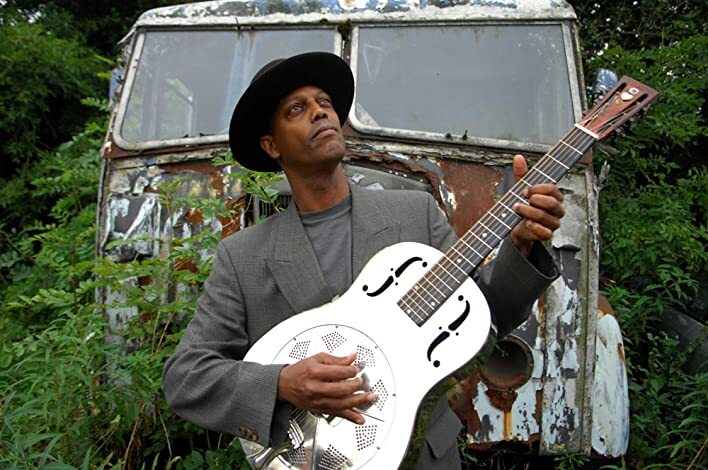 I’ve seen it all — in my time"
¶ Over the course of many album releases over the intervening years Bibb has been nominated for multiple Blues Music Awards in several categories. In addition to the Grammy-nominated Shakin’ a Tailfeather children’s album (with Taj Mahal and Linda Tillery and the Cultural Heritage Choir), other noted albums included Friends, which featured Odetta, Charlie Musselwhite, Guy Davis and Mahal as special guests. Two collaborations with his father (who lives in Vancouver) were A Family Affair and Praising Peace: A Tribute to Paul Robeson, which Stony Plain released in 2006. More recent was his 2010 Booker’s Guitar, a tribute to blues pioneer Bukka White, on which he played White’s steel-bodied National guitar. 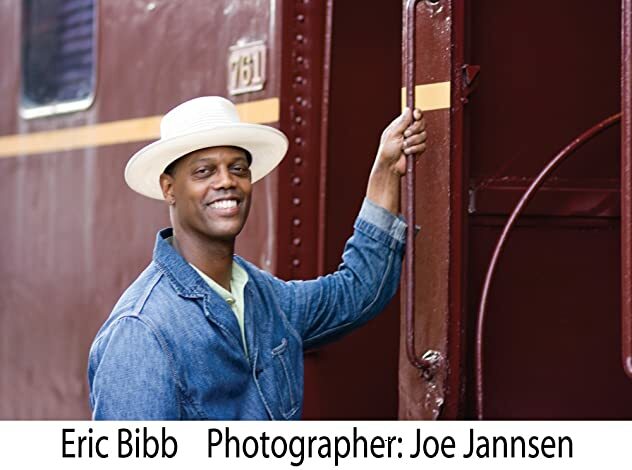 ¶ A four-decade career, 35 albums, countless radio and television shows and non-stop touring have given Eric Bibb a world view that’s tempered by curiosity and compassion, and the ability to see himself in other peoples’ shoes. Let a brother walk through"
If I feel it — that’s good enough for me"
¶ And it’s more than excellent enough for the rest of us. ¶ His supporting cast, Bamada, is a super-group of West African talent, including Kélétigui Diabaté playing balafon. ¶ Koité is known primarily for his unique approach to playing the guitar by tuning it on a pentatonic scale and playing on open strings as one would on a kamale n'goni. Other pieces of his music sound more like the blues or flamenco which are two styles he learned under Khalilou Traoré. ¶ Koité's vocal style is intimate and relaxed, emphasizing calm, moody singing rather than operatic technical prowess. Members of Bamada play talking drum, guitar, bass, drum set, harmonica, violin, calabash, and balafon. Koité composes and arranges all songs, singing in English, French, and Bambara. Website: http://www.habibkoite.com / MySpace: http://www.myspace.com/habibkoite#!